Wavebar® is a high-performance, flexible mass-loaded vinyl noise barrier, offering superior acoustic transmission loss. Designed to meet market requirements it has been effectively used to reduce noise in building, commercial, industrial and automotive markets, globally. 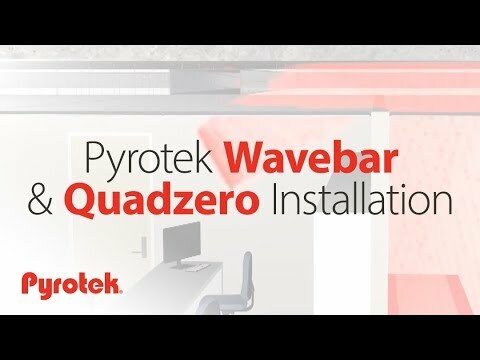 The engineering team at Pyrotek® developed Wavebar® to be dense, thin, highly-flexible, tear-resistant and strong. These properties give the product high transmission loss throughout the various weight ranges. Our range of standard mass loaded vinyl barriers include ‘Wavebar®’, and ‘Wavebar® NC’ (Noise Curtain) with reinforced fabric backing offering strength and is self-supporting. The extraordinary strength of ‘Wavebar® NC’ with its versatility to hang or drape in long lengths favour its use as noise enclosures in industrial and construction sites.